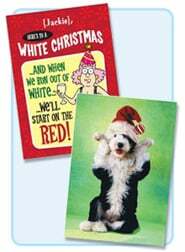 Create a fun, memorable, one-of-a-kind holiday photo card or personalized Christmas card! 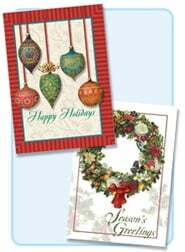 Personalize these custom Christmas cards in a variety of unique ways. 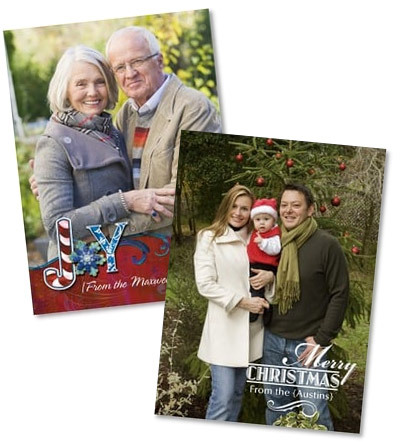 You can even customize the front of these holiday cards with your photo or name! Simply shop "Photos on Front" or "Text on Front". Use our Sending Service to stamp and mail your cards for you. Plus, you'll also save with Quantity Discounts - as low as $1.99 each! There's nothing like a customized Christmas card to share an extra-special "Happy Holidays" wish with friends and loved ones. 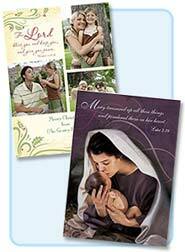 Looking for the right words or Christmas card message to add to your holiday card? 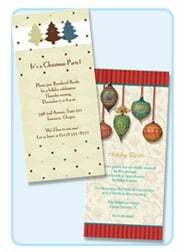 Browse our suggestions for What to write in a Christmas Card! Create your own personalized holiday card—and send a keepsake greeting they’ll treasure forever!